All Plus Contractors | Call for Small fixes to Complete Renovations, and everything in between. Call for Small fixes to Complete Renovations, and everything in between. 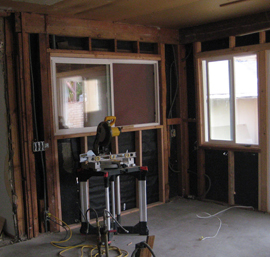 Remodeling your home whether it's the kitchen, bathrooms or your addition, is a big job but not for someone who has ideas, experience and understanding for what is about to happen. All Plus Contractors (APC) will work with you from initial contact to the finishing touches. Our personal commitment to our customers is to deliver the highest level of service and guaranteed work. Call APC for small repairs to complete repipes, and everything in-between. 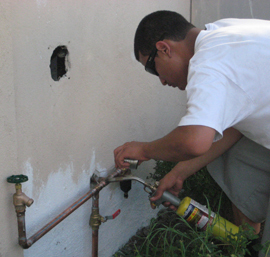 We repair all types of broken pipes in ceilings, walls and concrete slabs. APC repairs water damage, patch and paint all types of surfaces using in-house staff. An EPA-certified company, we are available 24/7 for your home and commercial clogged drains, water heater and other plumbing emergencies. 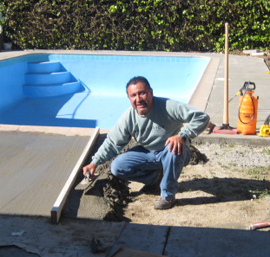 APC offers different types of concrete building services including driveways, foundations, patios, sidewalks, water features, swimming pool coping, and colored stamp finishes. We install retaining walls, bricks, flagstone, interlocking pavers and stucco finishes of all types. Call APC for a consultation and free estimate. All Plus Contractors offers complete solutions for your interior/exterior residential or commercial projects. APC installs hardwood flooring, tile, laminate, travertine and brick. 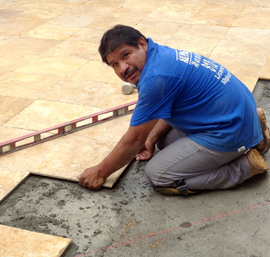 From idea to finished project, we will work with you on detailing the finishing touches on your new flooring or tile. All of our work comes with our piece-of-mind guarantee.